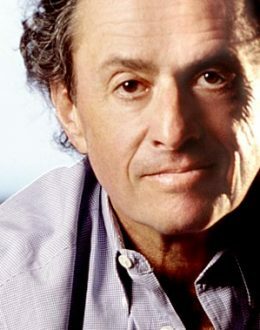 Sergio Zyman was the Chairman and founder of Zyman Group and the former Chief Marketing Officer of The Coca-Cola Company. Over the course of 30 plus years of hands-on marketing experience, he has conceived a revolutionary set of principles that are proven to translate marketing strategies into positive business results. From major food and beverage companies to industrial manufacturers to popular retailers to global telecommunications powers, a diverse group of clients has sought out and received Sergio Zyman’s marketing expertise. Zyman Group has helped businesses ranging from the largest of the Global 1000 to high-tech growth companies improve their marketing results. These offerings include strategic marketing consulting services and market research and insights. Mr. Zyman’s record as a master marketer also includes tenures with Coca-Cola, PepsiCo and Procter & Gamble. He is best known for his bold actions as the outspoken CMO of Coca-Cola, where he re-conceptualized the company’s marketing strategy and boosted worldwide annual sales volume from nine to 15 billion cases-the most explosive growth period in the company’s history. This success led Time magazine to name him one of the three key pitchmen of the 20th century. Sergio Zyman’s passion and knowledge have been transformed into texts that constitute the core curriculum of results-driven marketing. His best selling book, The End Of Marketing As We Know It, clearly lays out his ground rules for marketing success. His insights and examples of marketing principles in action de-mystify marketing and explain it as a science, rather than art. In his second book, Building Brandwidth: Closing the Sale Online, Mr. Zyman turns his expert eye to the e-marketing revolution, and explains the futility of Internet marketing that fails to close online sales. His third book, The End of Advertising As We Know It, examines the one segment of marketing where the most mistakes are made and where the most money is spent, and wasted-advertising-and provides actionable recommendations for improving return on advertising investment. Sergio’s last book, Renovate Before You Innovate, details time-tested principles for accelerating sustainable organic growth. As a highly experienced marketing professional and an extremely charismatic communicator, Sergio Zyman is sought after as a speaker by companies and organizations throughout the world. He energizes audiences with his creative genius and dynamic, unpredictable style. In addition, his acute insights have been featured in every major business publication, including The New York Times, The Wall Street Journal, Business Week and Fortune. Sergio Zyman is a native of Mexico City. He holds an Executive MBA from Harvard University and has attended graduate schools in London, Paris and Jerusalem. When he is not immersed in the world of marketing, he expends his spare energy as an enthusiastic runner and an avid reader. He also enjoys golf, skiing and cycling.